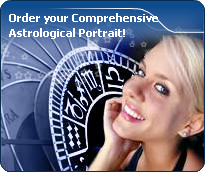 You will find below the horoscope of Amanda Peterson with her interactive chart, an excerpt of her astrological portrait and her planetary dominants. If you know the time of birth of Amanda Peterson, we would appreciate it if you would send us your information with your source, at stars@astrotheme.com. To thank you for contributing to the enhancement of our astrological database, we shall be glad to send you the astrological portrait (34 pages) of this celebrity. Horoscopes having the same aspect Mercury sextile Saturn (orb 1°58'): Cameron Diaz, Penélope Cruz, Mel Gibson, Emma Stone, Meghan, Duchess of Sussex, Jessica Simpson, Charles, Prince of Wales, Rocco Siffredi, Jennifer Garner, Paul Newman, Eva Green, Carmen Electra... Find all the celebrities having this aspect. Horoscopes having the same aspect Mercury trine Neptune (orb 3°38'): Nicole Kidman, Nicolas Sarkozy, Sharon Tate, Emma Watson, Pamela Anderson, Mark Zuckerberg, Victoria Beckham, Johnny Hallyday, Blake Lively, Bhagwan Shree Osho Rajneesh, Maria Callas, Jennifer Garner... Find all the celebrities having this aspect. Celebrities born the same day: Jaden Smith, John D. Rockefeller, Sophia Bush, Kevin Bacon, Claire Keim, Mimie Mathy, Milo Ventimiglia, Marianne Williamson, Elisabeth Kübler-Ross, Anjelica Huston, Beck (musician), Michael Weatherly... List of all the celebrities born on July 8. Celebrities clicked on in real-time: 577,238,909 times. Phyllis Amanda Peterson (July 8, 1971 – July 3, 2015), known professionally as Amanda Peterson, was an American actress known for her role as Cindy Mancini in the 1987 comedy film Can't Buy Me Love. A native of Greeley, Colorado, Peterson is the youngest of three children. While living in Colorado, she made her stage debut in a production of The Sound of Music. At the age of 9, she won a role in the musical film Annie, where she appeared as a dancing extra. Peterson went on to land guest spots on Father Murphy and Silver Spoons. Here are some character traits from Amanda Peterson's birth chart. This description is far from being comprehensive but it can shed light on his/her personality, which is still interesting for professional astrologers or astrology lovers. In a matter of minutes, you can get at your email address your astrological portrait (approximately 32 pages), a much more comprehensive report than this portrait of Amanda Peterson. Warning: when the birth time is unknown, which is the case for Amanda Peterson, a few paragraphs become irrelevant; distributions in hemispheres and quadrants are meaningless, so are dominant houses and houses' accentuations. Therefore, some chapters are removed from this part. The predominance of Water signs indicates high sensitivity and elevation through feelings, Amanda Peterson. Your heart and your emotions are your driving forces, and you can't do anything on Earth if you don't feel a strong affective charge (as a matter of fact, the word "feeling" is essential in your psychology). You need to love in order to understand, and to feel in order to take action, to the detriment of a certain vulnerability against which you should learn to fight. Cheers for communication and mobility, Amanda Peterson! The predominance of Air signs in your chart favours and amplifies your taste for relations and for all kinds of short trips, whether real (travels) or symbolic (new ideas, mind speculations). You gain in flexibility and adaptability what you lose in self-assertion or in pragmatism. Amanda Peterson, the Cardinal mode is dominant here and indicates a predisposition to action, and more exactly, to impulsion and to undertake: you are very keen to implement the plans you have in mind, to get things going and to create them. This is the most important aspect that inspires enthusiasm and adrenalin in you, without which you can grow weary rapidly. You are individualistic (maybe too much?) and assertive. You let others strengthen and improve the constructions which you built with fervour. In your natal chart, the three most important signs - according to criteria mentioned above - are in decreasing order of strength Cancer, Capricorn and Gemini. In general, these signs are important because your Ascendant or your Sun is located there. But this is not always the case: there may be a cluster of planets, or a planet may be near an angle other than the Midheaven or Ascendant. It may also be because two or three planets are considered to be very active because they form numerous aspects from these signs. After this paragraph about dominant planets, of Amanda Peterson, here are the character traits that you must read more carefully than the previous texts since they are very specific: the texts about dominant planets only give background information about the personality and remain quite general: they emphasize or, on the contrary, mitigate different particularities or facets of a personality. A human being is a complex whole and only bodies of texts can attempt to successfully figure out all the finer points. Your sensitivity is withdrawn, Amanda Peterson: more than anyone, you tend to lock yourself in your ivory tower, as you are aware of a kind of superiority that may be real, though overrated. Your moods are not perceptible because you control them with a tight fist. It is difficult to know if you are happy or upset because you show nothing. You avoid situations which compel you to reveal your emotions because you are not demonstrative. Please, be aware that it is not your amorous behaviour that is being analyzed, but the daily expression of your sensitivity. You dread the crowd and you need calm, and even solitude, to feel comfortable. You are well-equipped to remain balanced in all circumstances, but it may prove beneficial if you progressively take a relaxed attitude and show more dedication, as you are worth it; it is easier for you to exteriorize your feelings when your projects or your ambitions justify that you do so. You do not practice gratuitous outpourings, particularly when your are with a group, because you are afraid to open up, as if you were on the defensive, without any reason most of the times. Your intellectual and nervous energy is considerable, Amanda Peterson, with good concentration abilities and a strong determination. You have plenty of planning and organization skills and enthusiasm. Your helpfulness is deep and you never hesitate to solve other people's problems. You are thought of as a reliable person and you enjoy it very much. You believe in your own capacities and you tend to speak with a dramatic pomposity because you want to attract attention. People who do not share your opinion are in trouble! Your determination is strongest and you may show stubbornness and inflexibility because you do not easily accept it when your ideas or your actions are criticized. Some people believe that you assert yourself in an authoritarian and condescending way, but you are not aware of it and therefore, you keep on thinking that you are right. You are sensitive, vulnerable and tender at the same time, Amanda Peterson. When you love, you give your entire affection and your partner may in all confidence rely on a long-lasting and reassuring relationship. You are so calm and so tender that you think that it is enough to win over your partner's heart, and you are often right. However, do not mix up giving and receiving. You so deeply need to receive love in return that you may be too passive and in the long run, as you become demanding, you may show immaturity. Security and sustainability in your relationship are of utmost importance. Your family also is important, it is the refuge, even the sanctuary, where you like you hide when things go awry. You also dream of love, may be too much, and it may be detrimental to what might be concretely experienced if you were more dynamic or less fearful to get hurt. However, remember that you receive only as much as you give. Amanda Peterson, the way you take action is quite paradoxical: you carry out your business perfectly well when you are in a teamwork with collective goals, but you do so in your original and individualistic manner: this is your main peculiarity. Your concern is to express your originality and your specificity while remaining immersed in a human community. You are curt and not very flexible. You are inventive and you easily fight authority, just because its very principle runs counter to the sacred values of freedom, independence and, above all, the absence of constraint. Competition does not appeal to you. You prefer to be useful and to conquer new territories of the humanitarian or the intellectual type. On the sexual plane, you are also often original and surprising regarding your fantasies and your tastes. This text is only an excerpt from of Amanda Peterson's portrait. We hope that it will arouse your curiosity, and that it will prompt you to deepen your knowledge of astrology, as well as to visit and use the wide range of free applications at www.astrotheme.com.